Fig. 1. 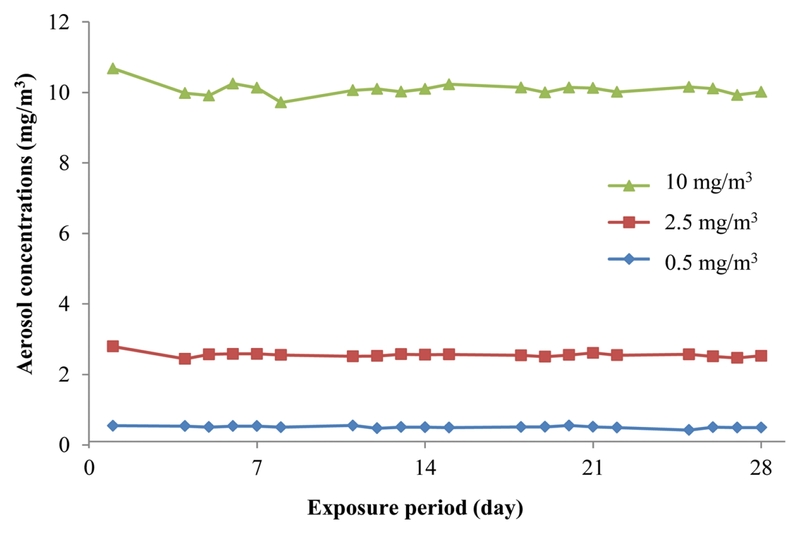 Aerosol concentrations of nano-sized Nd2O3 at 0.5 (◆), 2.5 (■), and 10 (▲) mg/m3, during the exposure period.